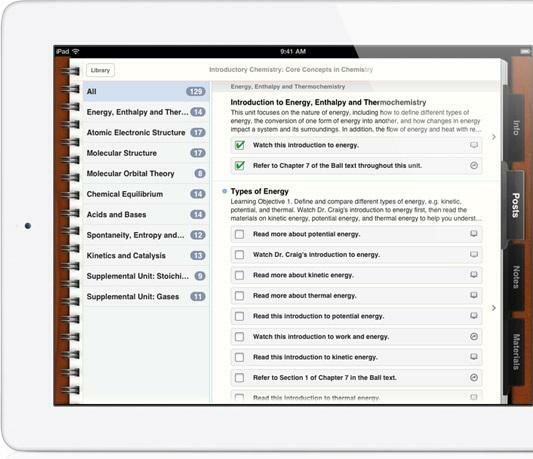 Apple boldly reinvents the school textbook with iBooks 2 and iTunes U, but will educators bite? Apple just held a press conference here in New York detailing new strategies and software to turn the iPad into a complete textbook replacement for students of any age. After rattling off the many reasons why textbooks are not as good as computers (weight, lack of up-to-date material, cost, no search, etc), Apple announced iBooks 2, iBooks Author, and an improved iTunes U, all with the goal of completely melding the iPad into the education experience. Beginning today, iBooks 2 is available as a free iPad app for download. The big addition to this app is textbooks. 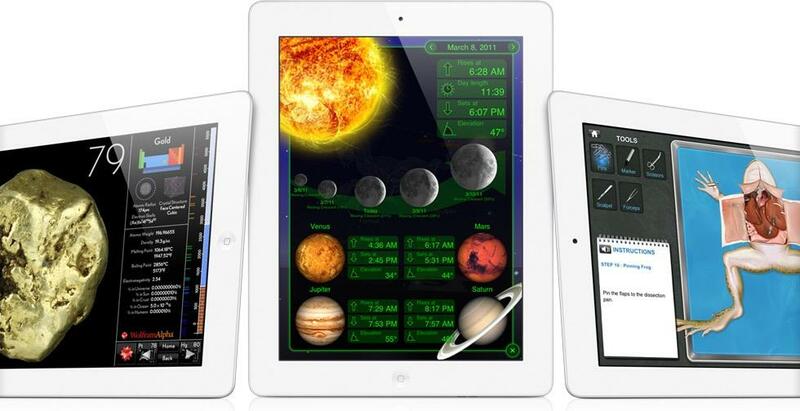 Apple demonstrated a host of new features that make its textbooks superior to paper books. Most importantly, most books will be priced at $15 or less. We’ve listed some new features below. The new iBooks store now has a textbook category and will have books for on every subject, every grade level, for every student, according to Apple. 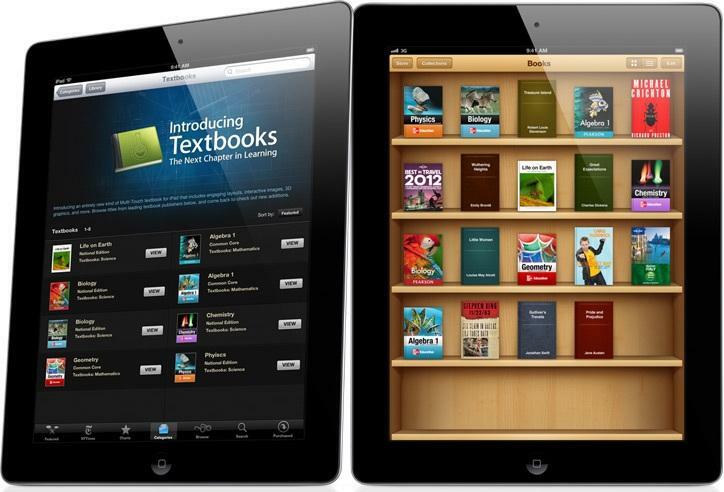 Textbooks are somewhat large at about 1GB or more, so we expect more 64GB (or higher) iPads will be sold in the future. We don’t yet know if you can save your notes to the cloud so they are there when you re-download your book, or if you can share notes with other students. To compliment the new iBooks 2 experience, Apple created iBooks Author and made it available as a free download on the Mac App Store, starting today. The software appears to easily let anyone create a textbook with relative ease. Templates for things like math or science books are included and you can drag text, video, or images into place. It can also import Word files and automatically fill in pages. Adding glossary terms is as easy as highlighting a word and writing in a definition. Advanced developers can manipulate books using HTML5. The program is also able to create kids books and other types of books as well. Several textbook publishers are already onboard including Pearson, Houghton Mifflin, McGraw Hill, and Harcourt. McGraw Hill books on Algebra 1, Biology, Chemistry, Geometry, and Physics are already available and Pearson is making two books available as well. Apple also announced upgrades to iTunes U, which it boasts already has more than 1000 universities using it and 700 million downloads. The new iTunes U will let instructors create entire online courses. Some of the new features are below. There is no doubt that the services shown today are impressive, but it’s hard to say if they will be widely adopted or not. There are also key questions that remain. Not all pre-college students can afford iPads (or college students). There also isn’t an announced way for students to get textbooks for free through their school, as is currently the case in public elementary, middle, and high schools in the United States. Then there’s sharing. All of this sounds great, but can students share notes, save notes to the cloud, or lend books to one another? Perhaps the biggest achilles heel to the whole system is that you need an iPad to take advantage of it. Requiring that all students buy iPads is a tough, and potentially expensive, choice, especially when many of them might already have an Android, Amazon, or Windows 8 tablet (I’m talking future kids). Apple’s complete resistance to making this program available on anything outside of its own hardware will undoubtedly limit its impact. Still, when I was growing up, every classroom had an Apple computer in it. That was how I learned how to use computers. If the company can find a way to reach out to educators on that level, it could have a huge impact. Doubts aside, we already know Microsoft is a bit scared. Today, the company put out its own blog post about how Windows 7 tablets are great for education. Unfortunately, the post didn’t have much to say.